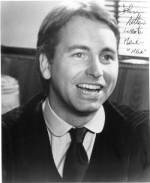 I think John Ritter was brilliant! This website is for all the times his slap stick comedy has had me rolling on the floor with laughter and for his tender caring moments that have made me cry. John, I will miss your genuine love for life and ability to put a smile on everyone's face. As Paul Reiser (actor) said about John, "the greatest tribute we can honor him with is to do something nice and something goofy every day. That's how he lived." So true! So extend a warm smile to a stranger or friend today, and do something a little fun - with or without an audience! John you will always be the BEST! Watch Jason Ritter (John's oldest son) on the new series The Event, Monday nights at 9. This site includes a bit of everything on John, enjoy! Amy Yasbeck's (John's wife) goal is to promote awareness for the John Ritter Foundation for Aortic Health. John's only brother, Tom got tested after John's death and he had the same tear John did. He was successfully operated on and is doing well. John's death probably saved his brother's life. Please visit the site to learn more, the knowledge may save someone you love as well! You can also share a story regarding Aortic Health with that site. Amy interview  on the Today Show (click). 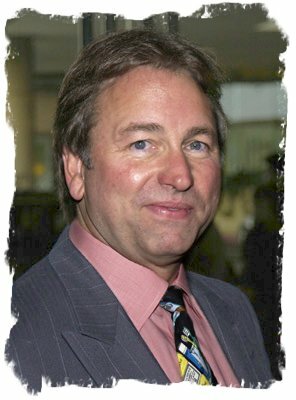 *This John Ritter website* was brought to Johns attention in 1999 by his daughter Carly, when she was still in high school. Imagine my surprise when they emailed me! John's letter was very genuine, and appreciative with lots of humour thrown in as well. Carly was exceptionally nice, and corresponded with me a few times. She told me about their family pets etc. One thing she always wrote was how much the fan mail meant to her Dad. It's obvious to see they are a very close family. 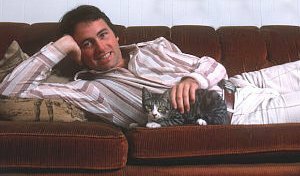 I LOVE this photo of John and one of the family cats. (Circa 1970's - early 80's?) Our website domain is "Fluffy Tails", mostly focusing on our cats & Shih Tzu, so this photo by Gene Trindl is a favourite of mine. At the time of his passing I believe John & Amy had 1 cat named Peeaboo and a poodle they call Critter Ritter. John was born in Burbank, California as Jonathan Southworth Ritter on September 17, 1948. He followed his father, Tex Ritter's foot steps and became an actor. 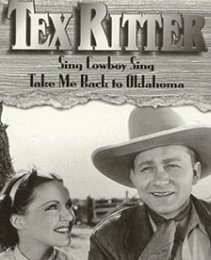 Tex was a well known actor, composer and singer in the 30's through 60's. John's Mom, Dorothy Fay Southworth, was also an actress. Dorothy and Tex starred together in a few Westerns in the late 1930's. They married in 1941. Tex passed away from a heart attack at age 68, Jan. 2, 1974. 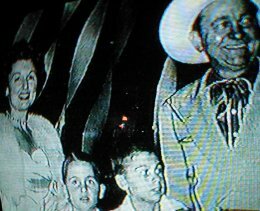 Dorothy became the official greeter at the Grand Ole Opry in Nashville. She passed away 2 months after John. Nov. 5th 2003 at the age of 88. John has one older brother named Tom, he is an attorney. Tom, John and their mom have raised millions of dollars for Cerebral Palsy, which Tom has. Dorothy was also a CP vice president. John was voted student president at Hollywood High. Proving he was always extremely popular. He went on to the University of Southern California, where he majored in Psychology and minored in Architecture. After a couple of years, he joined an acting class taught by Nina Foch. 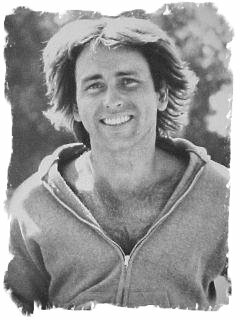 He changed his major to Theater Arts, graduating in 1970 with a Bachelor of Fine Arts degree in Drama. 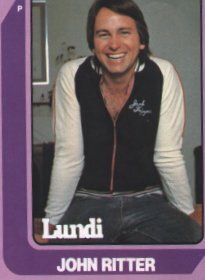 He also studied with Stella Adler at the Harvey Lembeck Comedy Workshop. John pictured here with his Mom. 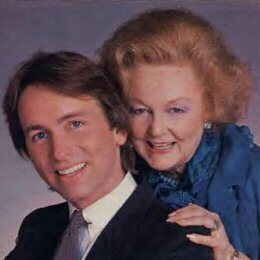 John was married to actress Nancy Morgan (pictured here) for 19 years. 1977-1996. Nancy was in Americathon with John in 1979. Together the two had 3 children, Jason, Tyler & Carly. The 1990 movie "The Dreamer of Oz", was a real family affair for the Ritters, as it starred John, Nancy and 10 year old son Jason. John and Nancy remained friends, even though they were no longer married. Just the week before his death, Nancy and John got son Tyler ready for his first year at University. Picture on the right was taken in 2000. It's Nancy, John & his brother Tom. 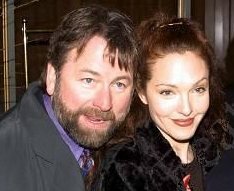 On September 18th, 1999 John married actress Amy Yasbeck, in her hometown of Wilmington, Ohio. (On a personal note this also happens to be MY Anniversary too, but 1993 for me.) John and Amy have one daughter named Stella. John and Amy starred in "Problem Child" and "Problem Child 2" together. John was a guest star on "Wings" in 1991 where he played Amy's husband. The two also guest starred on the "Cosby Show" as a married couple expecting a baby. Their last work together was in the 1998 TV movie, "Dead Husbands". For a collage of Amy & John see my page 2! Wife Amy, John, Marianna Palka, (Jason Ritter's long time girlfriend). Next is John's youngest son Tyler holding Stella and oldest son Jason. More info. on the kids, at the bottom of this page. 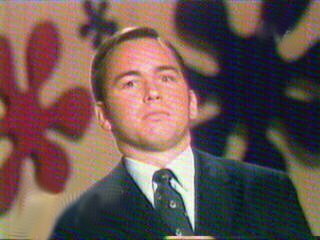 In 1966 at the age of 18, John was a contestant on "The Dating Game" (pictured here). Isn't he too cute! While still in college, John traveled to England, Scotland, Holland and Germany to perform in plays. After his 1970 graduation from UCS. His first TV acting experience was a campus revolutionary in the TV series, "Dan August". 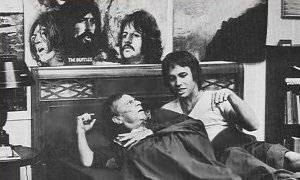 This show starred Burt Reynolds and Norman Fell. In 1971 John got his first movie "The Barefoot Executive". John had quite a few TV show guest appearances, here are JUST a few... "Hawaii Five-O" (1968, 1971 & '77), "The Streets of San Francisco" (1972). "M*A*S*H" (1973), "Kojak" (1974). He also had a reoccurring role on the "Waltons", from 1972-77 where he played Reverend Matthew Fordwick. He received great reviews for his role on the Waltons. "Starsky and Hutch" (1976). "The Love Boat" (1977). John did a guest appearance on "The Mary Tyler Moore Show". In this 1975 episode John is a tennis playing Minister on the go. He married Ted and Georgette. John was super hilarious in it! 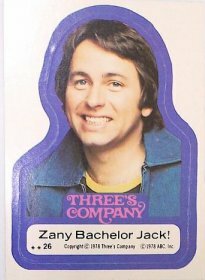 Where I first fell in love with John was on "Three's Company". This show brought great comic relief into homes from March 15, 1977 to September 18, 1984. It will always remain one of my favourite TV shows of all times! 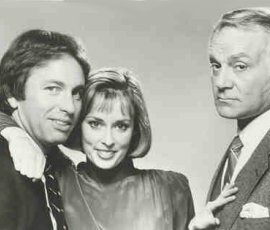 In 1984 when "Three's Company" went off the air I was almost 15. John had won his way into my heart. I had pictures of John in my wallet and on my wall and locker. In 1984 John did the spin-off show "Three's A Crowd", it only lasted one season. Since Janet got married and Terri left for Hawaii, Jack moved in with his love Vicky, played by Mary Cadorette. John was still wonderful, but I found "Vicky" all wrong for Jack. Perhaps I just wasn't ready to see Jack fall in love. John received a Golden Globe Award for Best Actor in a Comedy Series in 1984. Also that year he was honoured with an Emmy for Outstanding Lead Actor in a Comedy Series. He had been nominated for an Emmy twice before in 1978 and 1981. And nominated for a Golden Globe in 1979 and 1980. 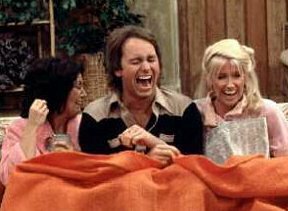 In 2002 Three's Company celebrated their 25th Anniversary. 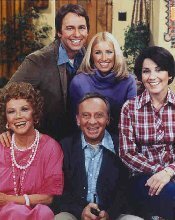 "The Ropers", Norman Fell & Audra Lindley, have also passed away. May they and John be enjoying the laughs together again! In 1998 Chris Mann wrote a book called "Come and Knock on Our Door, a Hers & Hers & His Guide to Three's Company". It really is a treat for any Three's Company fan! Its full of pictures and a great behind the scenes look at how the show was run. The actors themselves give lots of their own input for this book. The book is full of interesting facts. I was thrilled to read John's favourite episode is actually mine as well. #125 "Up in the Air" from the 6th season. Jack has to fly to a remote island for a party with Janet, being scared of flying he takes some tranquilizers. 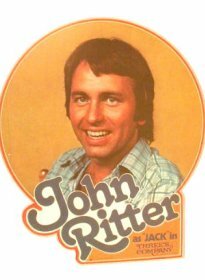 However washing them down with a drink called the "Rocket" can only mean one thing, John Ritter at his best! Every second is gut aching hilarious as John works his magic, "Strut with me, mama". Three's Company on TV. Check TV LAND . 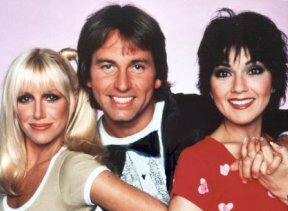 All 8 seasons of Three's Company have been released on DVD. Buy yours now and enjoy the fun! John was scheduled to begin working on the extras for the DVD's in the fall of 2003. Unfortunately for all of us fans, that wasn't meant to be. But the creators of the DVD's gave us fans some enjoyable extras. "Hooperman" was John's next TV series. It aired from 1987 to 1989. John played Detective Harry Hooperman who inherits a run down apartment building in need of help. He hires Susan Smith (Deborah Farentino). 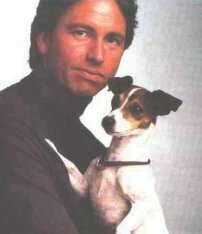 A relationship follows and Hooperman must juggle work, love, plus the antics of Bijoux the dog (pictured here). John was nominated for both an Emmy and a Golden Globe in 1988. He did win a People's Choice Award for this role. 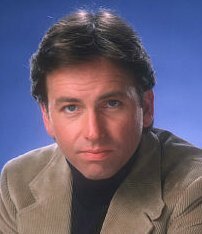 In 1992-95 Ritter returned to TV for 3 seasons as John Hartman, aide to the Senator in "Hearts Afire". This series starred Markie Post as Georgie Anne Lahti and Billy Bob Thorton as Billy Bob Davis. The chemistry between John and Markie was wonderful. This show was very well written but unfortunately didn't reach mass public appeal. which he started in 1984 with college friend Robert Myman. 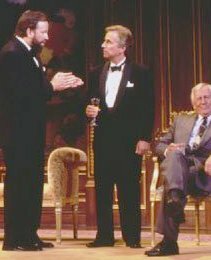 John was on stage in New York in 2000 / 2001 doing a play called Dinner Party. It also starred Henry Winkler (the Fonz). Henry and John had been friends for over 25 years. 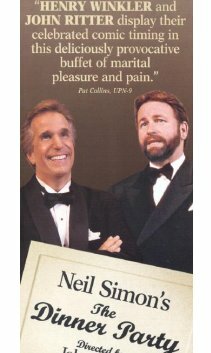 In 2002 John returned to theatre in the play, J for J. John Ritter teams up with long time friend Jenny Sullivan in her semi-autobiographical drama, about coming to terms with and appreciating her relationship with her developmentally disabled brother. John also gave of his time to help several causes. In 1999, he did public service announcements to stop child abuse and neglect for the Child Welfare League of America. John LOVED the Beatles, especially John Lennon. He had been fortunate enough to meet John, Ringo and George. I'm sure he met Paul as well. 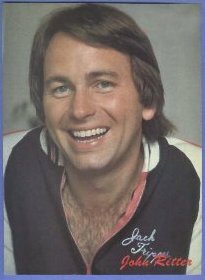 On the set of 'Three's Company' he wanted a Beatles poster in his, (Jack's) bedroom. As pictured here. 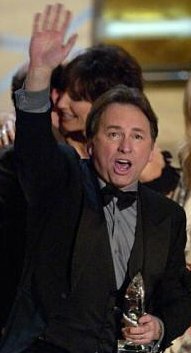 The show began in 2002 with John Ritter's character Paul Hennessy as a protective dad to three children, two teen daughters (Kaley Cuoco and Amy Davidson) and one son (Martin Spanjers). John's wife Cate, is played by Katey Sagal. John and Katey also did a great movie together called Chance of a Lifetime. 8 Simple Rules WON for Favourite Comedy Series by the Family Awards! January 2003 "Simple Rules" WON the People's Choice Award for Best New Comedy. John accepting award. OK readers, today we're having a little pop quiz. It's multiple choice, so sharpen your number two pencils and put on your thinking caps. Ready? Here's a quote: "Dad, you're an idiot!" Now contestants, this was said to me because of which of the following transgressions? A.) Coming to the breakfast table wearing pajamas and black socks. B.) Asking my oldest daughter if that guy I saw her talking to yesterday was her boyfriend. OK. Pencils down. Actually it was a trick question. The answer is all of the above. Now do you know how many times I called my father an idiot? Zero. Why? Because I feared him. Back then we didn't share our deep personal feelings. Our deepest conversations usually revolved around the Tigers' bullpen. But my kids, I can't get them to shut up. There's not a feeling that my kids are afraid to express over and over and over. And my wife reassures me this is a good thing over and over and over, and she's always right. So do I wish that my kids feared me? Well, my house would be quieter and I'd spend a lot less time in the bathroom, but no, because I know that whenever they insult me, whether it's a "You're an idiot," "What a geek!" or an "I hate you;" an "I love you" isn't far behind. And it's the knowledge that my wife and kids love me, that makes it safe for me to wear pajamas and black socks to the breakfast table. Fans of John will be happy to know Jason Ritter, John's oldest SON is following in his Father and Grandfather's acting footsteps! Jason was born Feb. 17, 1980. Isn't he a cutie! The photo on the right is from the movie "Mumford" (1999). The movie stars Ted Danson and Martin Short. 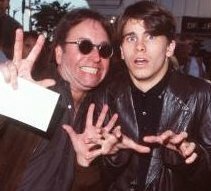 He has starred with his dad in "The Dreamer of Oz" in 1990. And in 1992 they were both in the short animated film "The Real Story of O Christmas Tree." Royal Academy of Dramatic Arts in London England. Recently Jason has been in quite a few movies and TV guest appearances. As well as having 2 co-starring roles on TV series. Joan of Arcadia on CBS. Jason's character was Kevin, he comes to terms with his new life in a wheel chair. Jason did a great job. Unfortunately after 2 seasons in 2005 the show was canceled. Joan of Arcadia won the People's Choice Award for Favorite New Dramatic Series in 2004. Here is a photo of Jason with his girl friend of 10 years, Marianna Palka from the awards. 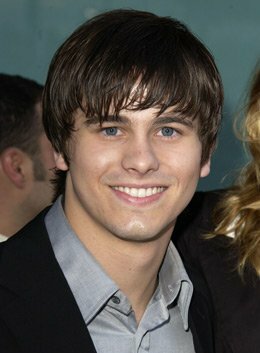 In 2006/2007 CBS aired another Jason Ritter TV series called The Class. It also won the Peoples Choice Award for Favorite new TV Comedy in 2007. Despite the fans obvious approval, the show was canceled after only 1 season? Stupid CBS! John did get to watch a special preview of Joan of Arcadia before his passing. John was SO proud of Jason. John often spoke on interviews about Jason, saying things like "I'm in New York to see Jason, he's in a new play, he's a great actor..." Here they are on July 27th 1998 at the premiere of Halloween H2O. 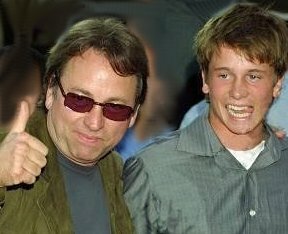 More photos of father and son, at the Sundance Film Festival Jan. 2003. Here's proud Dad John and son Jason. "8 Simple Rules for Dating my Teenage Daughter". This is John and his other son Tyler, born in 1984. Tyler is about 17 years old at the time of this photo. At 18 Tyler started his first year at the University of Pennsylvania in Sept. 2003. John often boasted on TV interviews how awesome a baseball player Tyler is! Carly attended Vassar College, located in the heart of the Hudson Valley in New York State. 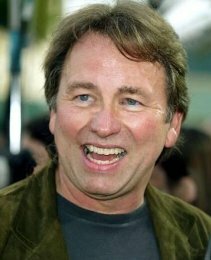 John Ritter passed, just days before his 55th Birthday. The cause of death was a dissection of the aorta, the result of an unrecognized flaw in his heart. 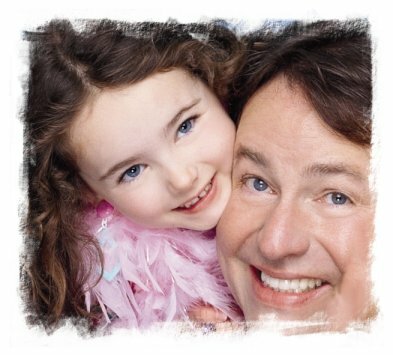 John first felt ill while rehearsing on the set of 8 Simple Rules. He was rushed across the street to Providence St. Joseph Medical Center in Burbank CA. John passed away shortly after 10 p.m. Thursday Sept. 11th, 2003. John's wife Amy and son Jason had made it to the hospital, however since they didn't know it was the end, I'm not sure if "goodbye's" were said. The ages of John's four children, at the time of his passing were as follows: Jason (23), Carly (21), Tyler (18) and Stella (5). John's Mother Dorothy Fay was 88. September is a very meaningful month for the Ritter's. Sept. 11th 2003 John passes away. 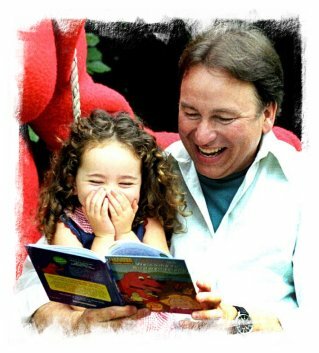 Sept. 11th 2003 Stella, John's daughter turned 5, the SAME day her father died. Sept. 12th 2003 Amy's 40th birthday, the day after her husband died. John's private funeral was Sept. 15th. in L.A. The services were led by his dear friend (and college roommate) Paul Linke. Also speaking was his best friend from high school, Joe Landon, long time friends from college, Robert Myman and director Jack Bender, who had directed many of John's TV movies. 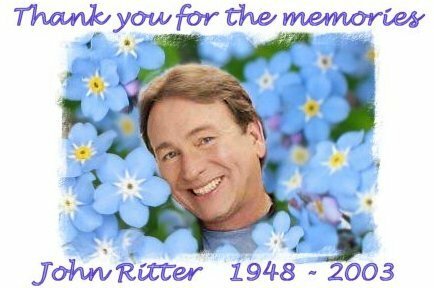 Henry Winkler John's great friend for decades also did a tribute. The last speaker was his son Jason. 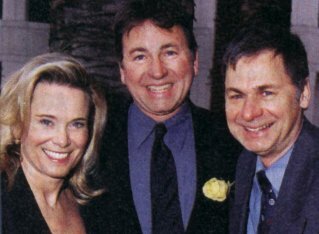 John Ritter Foundation for Aortic Health. 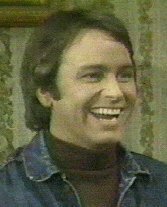 Please put John Ritter, or something relevant in the subject line. With all the junk mail that goes around, it may get deleted if it looks like nonsense :) Thank you. VOTE on my site through Starpages. Or visit Starpages for links to your other favourite stars. To view our other pages, please click on the photo you want!! This is an amateur site and no infringement of any copyright is intended.